Fiona is a senior lecturer at the University of Western Australia where she teaches on the Master of International Law and the Law and Society Major. Her current research interests include international human rights law, in particular the United Nations human rights mechanisms and the role of Non-governmental Organisations (NGOs). She also has an interest in business and human rights, including modern slavery, and in transitional justice. 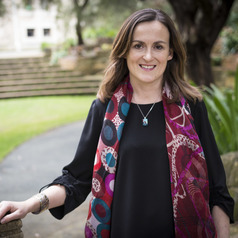 Fiona previously lectured at the Centre for Human Rights Education, Curtin University and has worked in the NGO sector in Ireland and Australia. She has an LLB (Hons) in Common and Civil Law with French from the Queen's University of Belfast, a Masters in Human Rights from Curtin University and a PhD from the University of Western Australia.